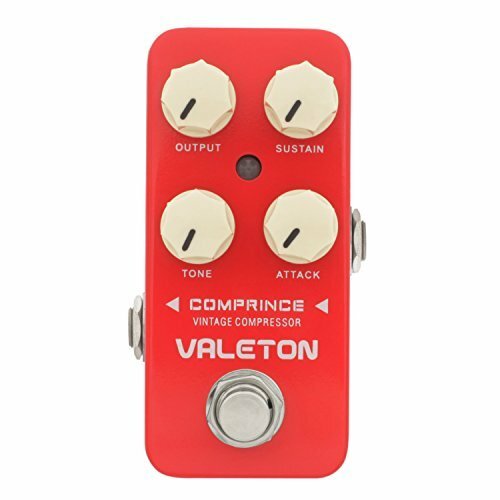 Valeton CCS-1 Comprince Vintage Compressor Guitar Effect Pedal Valeton Comprince Vintage Compressor, Coral series effect pedal for electric guitar & bass, based on vintage studio compressor units, 100% thomann analog, true bypass, controls: volume, sustain, tone, attack, on/off switch with status LED, jack input & output, power consumption 10mA, requires 9V power supply . The Valeton CCS-1 Comprince Vintage Compressor is crystal-clear compressor based on the famous rack mount units of the 70s and 80s. The compression on offer is transparent and warm, an instant tone improver! Excellent response at an equally nice price. If you have any questions about this product by Valeton, contact us by completing and submitting the form below. If you are looking for a specif part number, please include it with your message.